This wreck occurred on 1 March 2004. 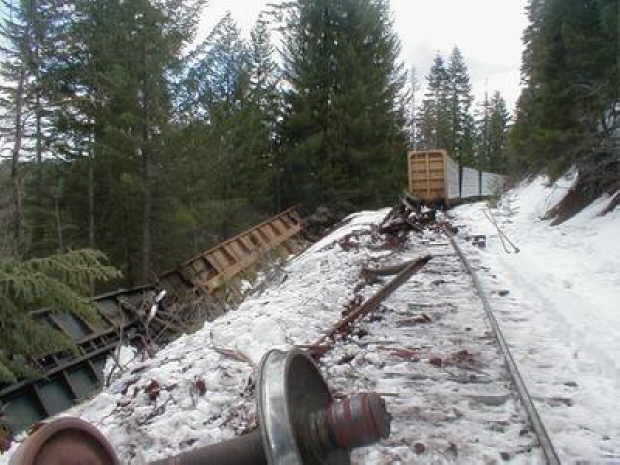 At least three loaded center beams are lying upside down next to the tracks. 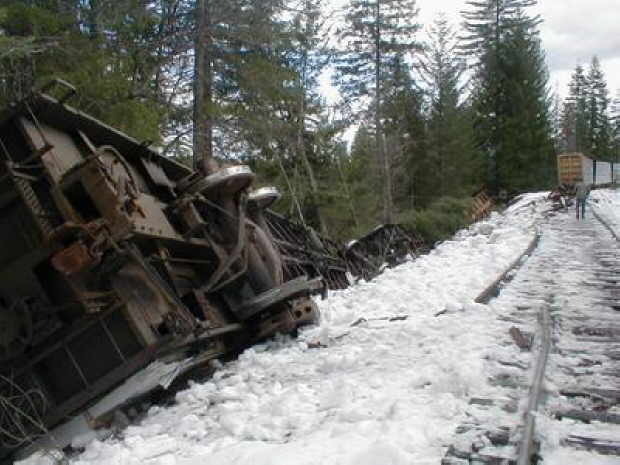 Apparently at least four loaded center beams and caboose #102 were damaged in this wreck. More information and photos will be posted if or when it becomes available. Photo is courtesy of Cyrus Gillespie.